Solar & Grid Hybrid Controller GS-CPLI Series - KF Solar Tech Group Corp. 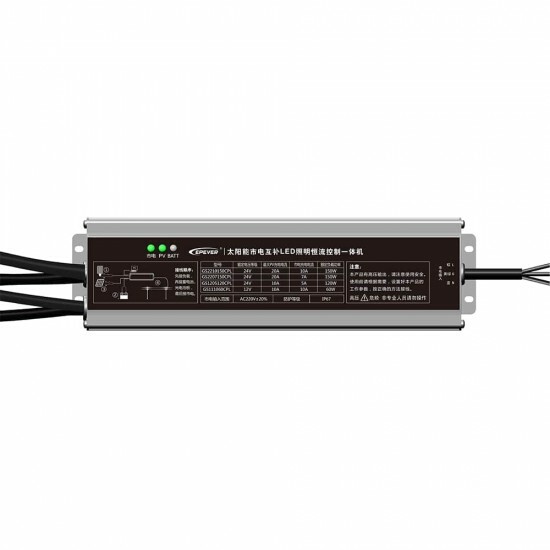 The GS-CPLI series solar & grid hybrid controller is a new type of waterproof controller for LED lamp integrating constant current controllers for grid, solar and LED light sources. It can charge the battery through the solar/grid with the solar charging having the priority. It can maximize the utilization of solar and offer high power supply guarantee rate and high reliability.